LA Fitness takes over 24 Hour Fitness in AZ, and AU REVOIR Body Combat. 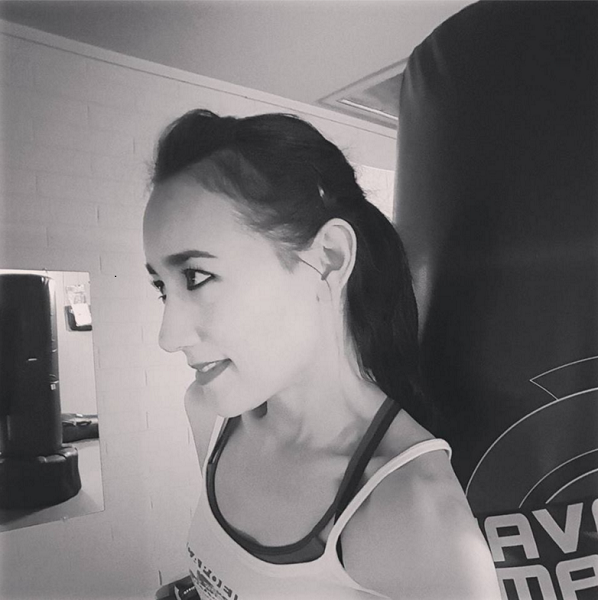 Last Tuesday, I wrote about my recent psychedelic Body Combat experience at a gym in France. MEANWHILE, back at home, our own Body Combat classes have been placed on life support, because our gym is no longer our gym. Toward the end of November, our gym got yanked out from under us in the most unceremonious way possible. As in, one day our gym was there, and the next day, it “went out for cigarettes” and we never saw it again. But we know where it went. It went to either Oklahoma or Nebraska. 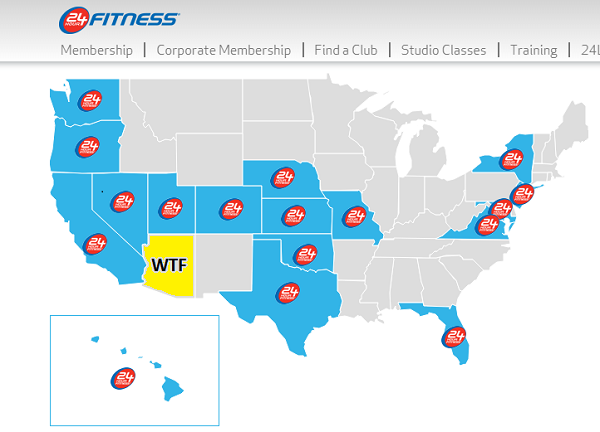 The president of 24 Hour Fitness (our gym) traded his 11 Arizona locations for THREE LA Fitness locations between Oklahoma and Nebraska. 24 Hour Fitness no longer has gyms in AZ, and we’re now members of LA Fitness. “It’s almost like the president of 24 Hour Fitness lost his 11 Arizona locations to LA Fitness in a game of poker,” Callaghan said. I have to agree. 24 Hour Fitness never “gained a cluster” in Phoenix? About 4.5 million people live in Phoenix Metro. Oklahoma City Metro has 1.3 million people – roughly a third of our area. We had 11 locations in Phoenix. What kind of “cluster” was he hoping to gain? How does a trade of 11 Arizona locations for three locations in the Midwest make sense? So yes, our gym dumped us and ran off to the Midwest with some floozy, and it waited until after it crossed state lines to send its Dear John letter/”OH BY THE WAY we left Arizona and now you belong to LA Fitness” email. Probably just “business as usual” in the cutthroat world of chain corporations, except it was a big deal to us when 24 Hour Fitness left, because ultimately, Les Mills’ Body Combat and Les Mills Everything Else are leaving, too. LA Fitness isn’t contracted with Les Mills International, so it’s not supposed to offer Body Combat or any of the other Les Mills group fitness classes. LA Fitness has been allowing our instructors to continue teaching the classes in the wake of the take-over – a temporary arrangement. I spoke with an LA Fitness corporate rep and was told that the Les Mills classes at the Arizona gyms-formerly-known-as-24 Hour Fitness WILL be replaced by LA Fitness’ own group fitness classes. He assured me that “the classes will basically be the same, but under different names” (i.e. “Bodyworks plus abs”). But we know from some members’ experiences that the classes are actually not the same. Les Mills classes are unique and cannot be replicated. We’ve made phone calls, we’ve sent emails, we’ve started a petition… but there’s pretty much no chance that LA Fitness corporate will contract with Les Mills International merely to provide us with the same classes we had when our gym was 24 Hour Fitness. So now we’re waiting for LA Fitness to shut down our classes completely. This could happen at any time, since Les Mills has basically been squatting on LA Fitness’ premises. Still, anything could happen! It never hurts to think positively, right? I like to hope for the best while planning for the worst (could I squeeze any more clichés into this post? ), so we’ll see what happens. It seems obvious that Body Combat at our gym is running on fumes, though. There… signing out with a cliché AND a pun. BANG.